In January, 2010, the U.S. Supreme Court ruled that corporations have the same constitutionally guaranteed free-speech rights as actual human beings. That infamous Citizens United ruling unleashed torrents of money that have distorted the electoral process and have given corporations and wealthy individuals even more control over U.S. politics. It almost certainly helped give us President Trump and a Republican-dominated Congress. In March, 2017, New Zealand took a very different step. 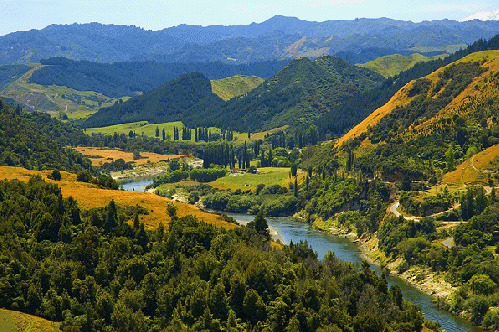 Its parliament passed the Te Awa Tupua or Whanganui River Claims Settlement bill, which granted the Whanganui River legal personhood--the first time in the history of the world that this has been done. Chris Finlayson, the government official who helped negotiate the new law, announced that the river now has " . . . all the corresponding rights, duties and liabilities of a legal person." In effect, the Whanganui River now owns itself. It has innate rights and intrinsic value, and, through the people who have traditionally lived along it and relied on it for their livelihood, the Whanganui Iwi Maori, it can defend those rights in court. Within a week, a high court in northern India granted similar legal personhood to two rivers, the Ganga and the Yumana. These may be the first signs of a much-needed and radical change in our relationship with nature. In June of 2017 a third country--Colombia--granted similar rights to a river, in this case the Atrato River, which has long been a toxic dump for illegal mining wastes. Also in 2017, a lawsuit was filed in Federal District Court in Colorado to recognize the Colorado River and its ecosystem as a person. In February, 2019, the city of Toledo Ohio passed legislation giving long-suffering Lake Erie personhood rights, and allowing individuals, organizations or the city to sue or take other legal actions on its behalf. You can read about it her e.
If this kind of legal innovation takes off, maybe Mother Nature will soon be more than a figure of speech, but instead an actual being with legal standing and guaranteed rights. I don't think that many corporations will like that--especially those that have gotten a free ride extracting wealth from nature or dumping waste products back into it--but at least Earth will be able to fight back on a level playing field. The natural world needs all the protection it can get. This innovative legal step by New Zealand, followed by India, could be just what we need to start to protect the planet and those of us who live on it! Yes, money talks, and big money has a very loud and powerful voice, as we know. Maybe legislation along the lines of what New Zealand did can give nature a voice too.